What is the key to creating curious, successful, life long learners? Problem solving! Nothing tests your resilience more than time spent working out a difficult problem. And what's more, the skills learned in this pursuit are not only applicable in mathematics, but in every field of study. 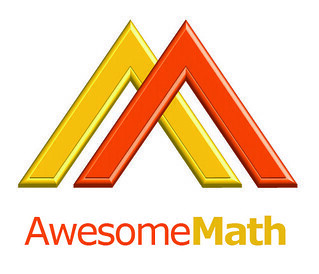 At AwesomeMath, we use competitions as the vehicle to introduce and engage kids to the joys of elegant problem solving. Why elegant? Because it takes experience and training to create interesting and complex problems that illustrate elegant problem solving techniques and concepts. Creativity and discovery are around every corner and the confidence built with problem-solving allows not only for that creativity, but also the understanding that there are multiple approaches that can be taken. Please join us for a short presentation about what AwesomeMath offers for mathematically curious learners, chat with like minded people in the audience, and pose questions for Dr. Andreescu. If problem solving is the key to unlock potential for success, let us take a moment to define success. As educators and academics, as parents, as employees, we all desire a similar goal and that is to teach young people how to think critically, how to work with others, and how to give back to the community in a meaningful way. By studying a subject that is challenging, like mathematics, students can efficiently learn the deductive and inductive thinking skills that are necessary for the world they are entering. And, as with many things in life, at AwesomeMath we strive to provide a balanced approach to this process. How? By not only working on problems to gain efficiencies, insight, and even a certain level of muscle memory to recognize the patterns in problems, we also offer the chance for students to be creative, either with their methodology or developing the skills to write their own elegant problems. Our students work through tough problems in multiple disciplines such as Number Theory, Algebra, Geometry, and Combinatorics, as well as at varying levels of difficulty so that they can test their abilities and be challenged to think, experiment, reflect, and play. The faculty at our camps, enrichment school, and community, many of whom are also authors for our publications, are world renowned mathematicians. Students have access to teaching assistants, junior faculty, and senior faculty who can mentor them at every stage of their mathematics education. From classes where specific concepts are taught to forums which show students life beyond college to research projects where students can study a concept in greater depth - our students see past the short view of middle school, high school, and college and embrace the longer view that allows them to define their path and embrace the wider expanse of careers. XYZ Press, the publications entity of AwesomeMath, has a wide selection of problem solving books accessible for students as young as 3rd or 4th grade all the way through high school, college, and beyond. If you enjoy problem solving, these publications will allow you to hone your skills and develop mastery in various areas and difficulty levels. AwesomeMath has an enrichment program accessible for students around the world, AwesomeMath Year-Round, as well as a local enrichment program, AwesomeMath Academy. The AwesomeMath Year-Round Program (AMY) provides students with further opportunities to broaden their mathematical horizons particularly in those fields from where Olympiad problems are drawn. Rather than concentrating solely on problem solving, the material covered familiarizes students with important mathematical concepts and widely applicable methods of proof. 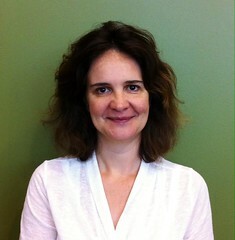 AMY extends and solidifies the mathematics learned during the AwesomeMath Summer Program (AMSP). The AwesomeMath Academy in Dallas opened its doors on October 3rd of this year. This enrichment center allows AwesomeMath to work with local students long-term, so that they can improve their results in math competitions and collaborate with peers and mentors, but also set long term research goals. Each set of sessions revolves around a specific topic, such as Algebraic Inequalities, so that students can pick and choose sessions in a modular fashion, depending on their own strengths and weaknesses, providing a customized enrichment plan. Finally, the Purple Comet ! 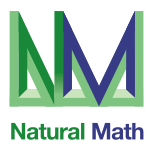 Math Meet is a free, annual, international, online, team, mathematics competition designed for middle and high school students that has been "fun and free since 2003". Teams are comprised of one to six students who compete by submitting solutions to a list of mathematics problems. There is a ten-day window (April 14 through April 23) during which teams may compete choosing a start time most convenient for them. The problems range in difficulty from fairly easy to extremely challenging. Last year, more than 10,000 students competed on over 2,900 teams from 44 countries. 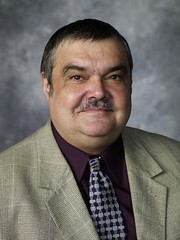 Dr. Andreescu has over 30 years of experience teaching and coaching tomorrow’s problem solvers. Through the AwesomeMath program he has founded, he gives students the opportunity to engage in meaningful learning activities and explore in detail areas in advanced mathematics. AwesomeMath's primary focus is on problem-solving, which is used as a tool to enhance students' interest and skills in mathematics. Dr. Andreescu believes that there are two major parts in significant mathematics teaching and learning: higher concepts (introducing and developing new topics) and applying those concepts creatively to concrete problems (bringing life to the new topics). These two areas rely on each other, but we focus primarily on the latter. I feel that certain advanced mathematics topics are best introduced to young students by motivating the concepts through problems that encourage investigation. Alina Andreescu leverages her experience in management and operations along with her education in finance and business to ensure that the AwesomeMath programs and camps run efficiently and follow a model of continuous growth. Over the past 10 years, the camps have grown and expanded both in number of students and campuses, and Alina has been there every step of the way creating systems of operation and setting the tone that makes AwesomeMath a place where kids want to come back year after year. Why? Because Alina treats our staff, parents, and students like family and this tone creates an environment that nurtures the soul as well as the mind - Alina provides the heart of AwesomeMath, both in terms of operational excellence as well as creating a nurturing atmosphere. Kathy Cordeiro became involved with the AwesomeMath program in 2007 as a parent trying to find challenging resources for her mathematically precocious son. With AwesomeMath, her expectations were not only reached, but far exceeded and Kathy began working with the program as a staff member in 2012. Innovation, problem solving, and team collaboration have been the leading constants throughout Kathy's varied career in the technology and education sectors. Her degree in Communications coupled with an MBA allows her to create customized training for the AwesomeMath staff as well as direct the communications with our customers, distributors, and partners. 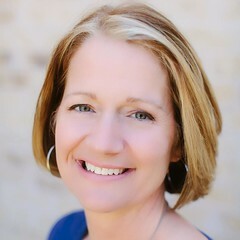 With AwesomeMath, Kathy has found an organization which values every individual's potential and is committed to helping them "unlock" their personal success.